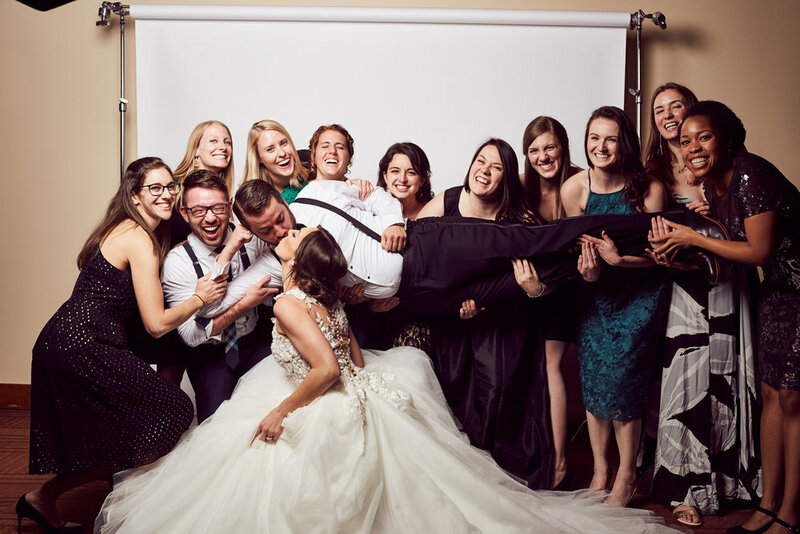 The day began at the Hilton Garden Inn of downtown Denver where bridesmaids began beautifying and Adrianne's grandmother put last minute touches on her stunning wedding dress. I don't think the dress would have even had a bustle had it not been for Grandma's sowing skills! 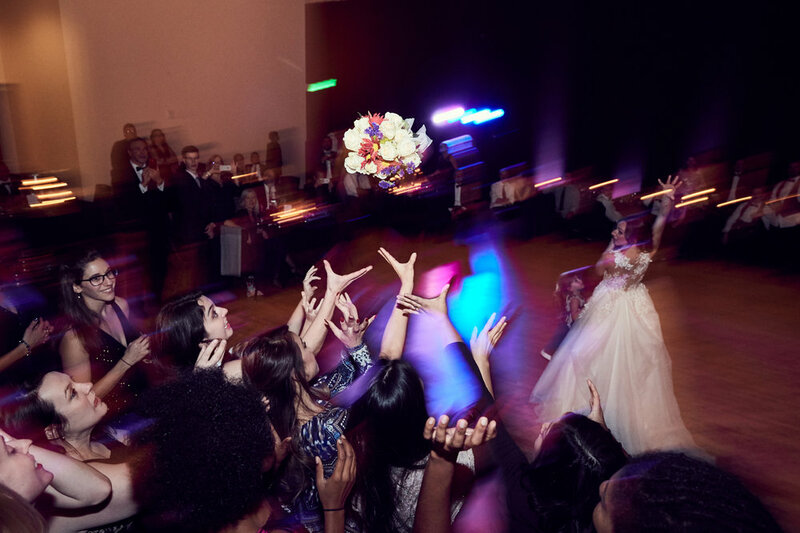 The couple exchanged thoughtful wedding gifts and the wedding party kept the energy high all day. Before the ceremony, the bridesmaids and mother of the bride gathered around the bride in a circle. They each told her things they loved most dearly about her and gave her well wishes in her marriage. There wasn't a dry eye in the room. We were lucky to grab a shot on stage at the Ellie Caulkins with the bridesmaids. After a traditional Jewish marriage ceremony, Justin smashed that glass with his foot like he had practiced! The couple, their witnesses and the Rabbi signed the Ketubah. Another favorite detail included the garter hidden in balloons dropped from the ceiling. 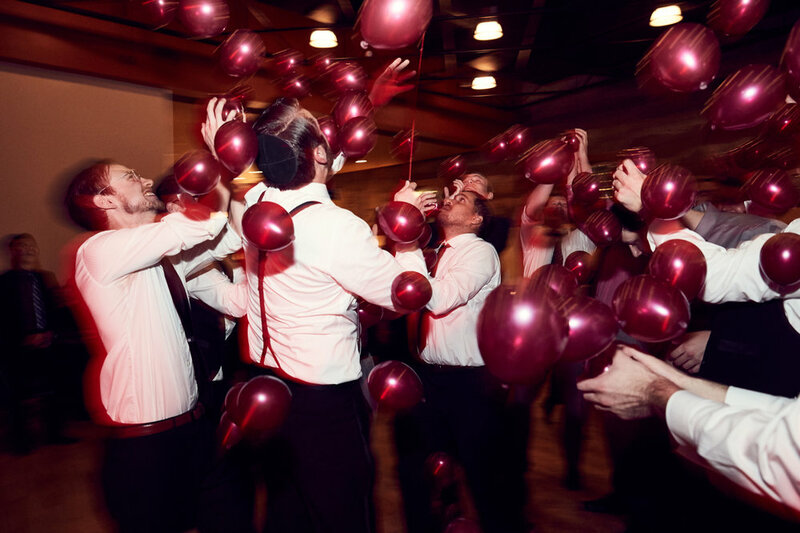 Watching all the single men pop balloons until they found the garter entertained the whole room. We also set up a backdrop for a little photo booth action as well! All of the guests participated in the traditional Horah dance which was quite the spectacle to photograph. 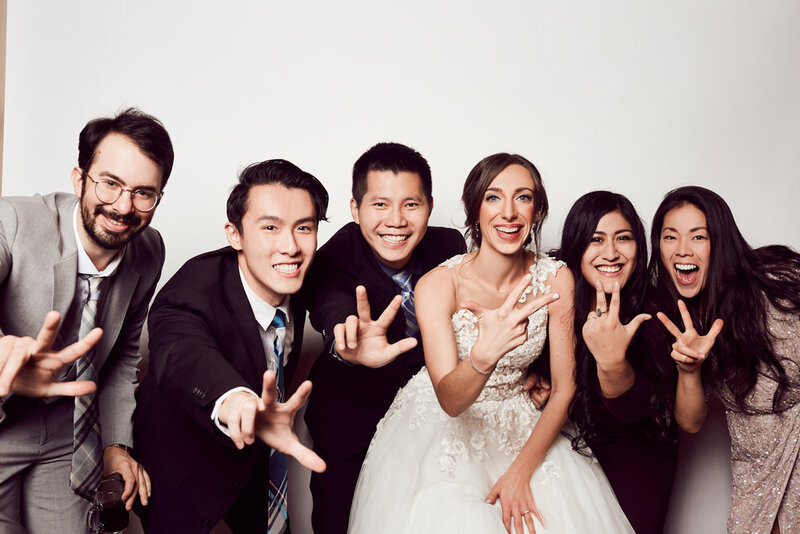 We had such a great time documenting this wedding. Mazel Tov!